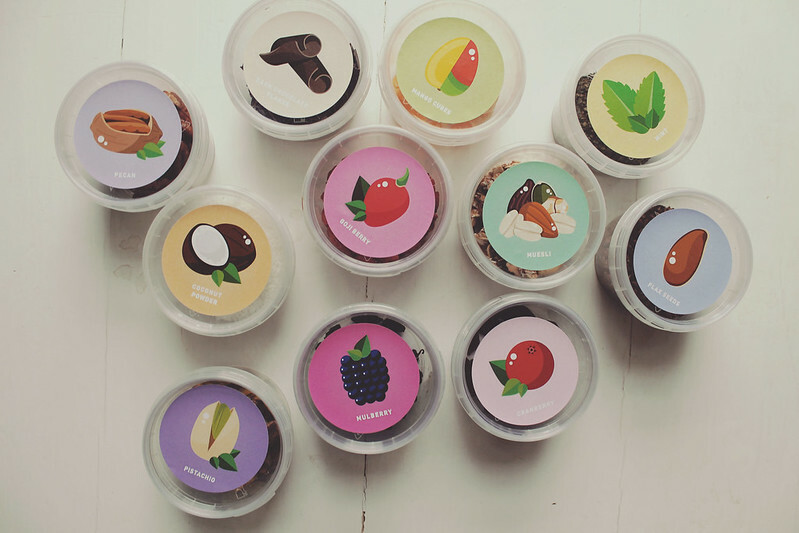 One of the best things about being an adult is when you realise that you can do things that would have been previously forbidden, with reckless abandon – such as eating ice cream for breakfast. That’s exactly what I did today, though I will caveat that statement with the fact that it was actually frozen yogurt, which we all know to be healthy, therefore a totally acceptable breakfast choice. Joking aside, this recipe has no ‘bad stuff’ in it and so is a pretty guilt-free treat, whether you want to eat it for dessert, or indeed breakfast. I love all of the Alpro Soya products and their milk and yogurts are a regular staple in my shopping basket so I was excited when Alpro got in contact to tell me about their #alprotops campaign – basically, having their yummy yogurts for breakfast with a variety of toppings such as coconut, mango, flax seed and goji berries. But always one to try and mix things up a little, I decided to try out making frozen yogurt with their yummy vanilla flavour soy yogurt. And, being one who would eat peanut butter with every meal given half the chance, I decided to throw that into the mix too. 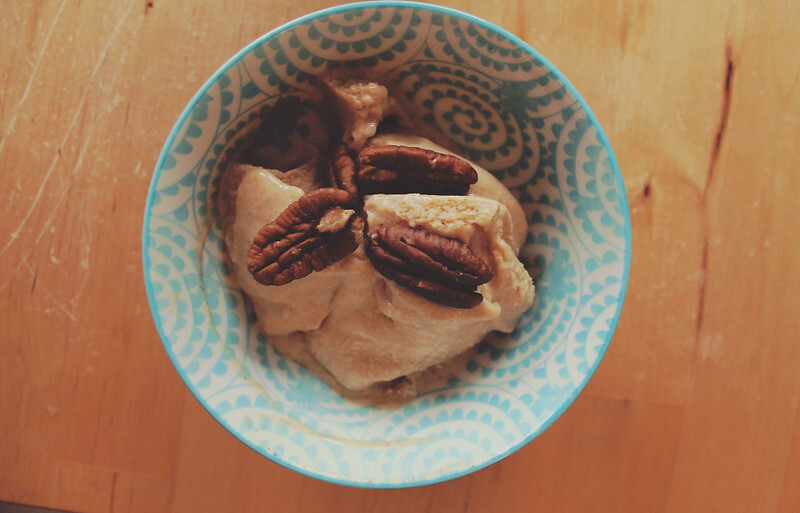 Behold – peanut butter frozen yoghurt. 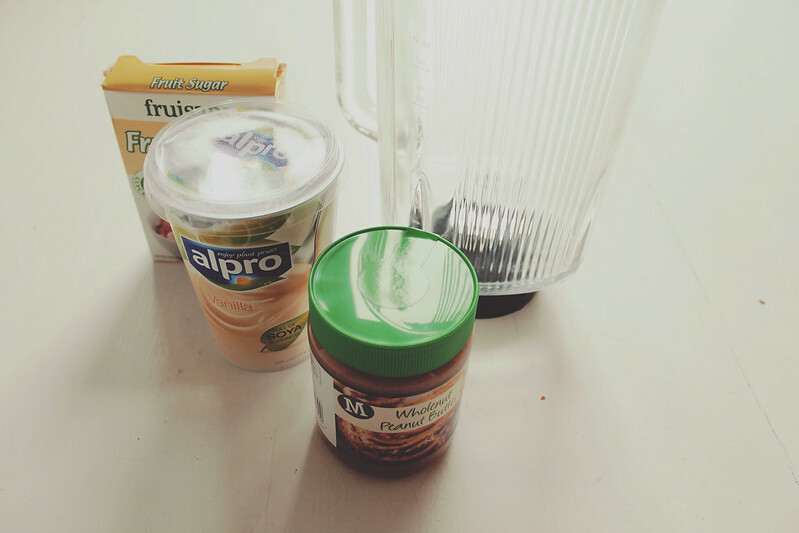 Easy peasy – simply blend all of the ingredients (I did this using my smoothie maker) and then pour into an ice-cream maker. I did this in an ice-cream maker and then put in the freezer but you could put it straight in the freezer if you don’t have an ice cream maker. It makes a real soft scoop frozen yogurt (my favourite). I added pecans as a topping and can confirm it was YUM. 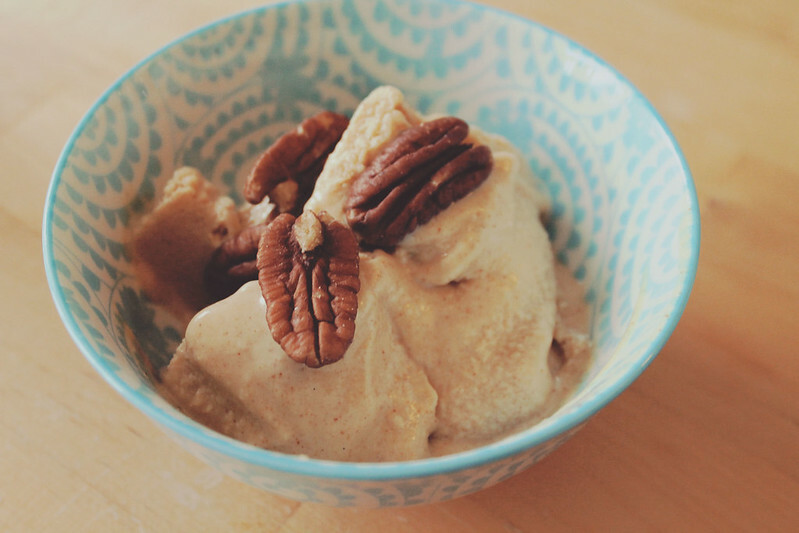 The frozen yogurt is utterly delicious and I will definitely be whipping up another batch! You could also make this with plain yogurt and add vanilla extract if you don’t have vanilla yogurt. Credit for this recipe goes to Chocolate Covered Katie – I just adapted the recipe to use the Alpro yogurt and changed some of the ingredients.